Grid giants and software players contend for the platform to optimize every device on the smart grid. How does a utility figure out which of its millions of distribution grid assets are about to fail, and how do they determine how costly or dangerous those breakdowns are going to be? How can the utility manage its day-to-day maintenance and operations plans in a way that takes new smart-grid-enabled data flows into account? And how can it decide which of a thousand different options for asset maintenance, replacement, and procurement strategies is the best -- not just this year, but ten years down the road? These are the kinds of enormously complicated questions that big data analytics could, just possibly, start answering for utilities. In fact, analytics software has already been put to use to manage generation and transmission assets for utilities. Now, with the proliferation of smart grid endpoints in the distribution grid, these platforms are starting to reach the edges of the grid as well. Take the partnership, announced last week, between grid giant General Electric and Meridium, the maker of an asset analytics software suite, known as Asset Performance Management (APM), now in use in power plants, refineries and factories around the world. GE plans to integrate Meridium’s software into its Smallworld GIS software suite for electric and gas networks, improving its ability to identify incipient equipment breakdowns before they happen and to correct operating conditions that are causing long-term problems. This isn’t a new concept, of course. Lots of grid equipment vendors offer monitoring and alerting systems to catch failures before they happen. Software vendors like SAP, Oracle and IBM, as well as smart meter network vendors and data analytics startups like C3, AutoGrid and Verdeeco, are all pledging to collect data from disparate devices to better predict transformer health, find which power lines are under stress, and identify other such distribution health issues. 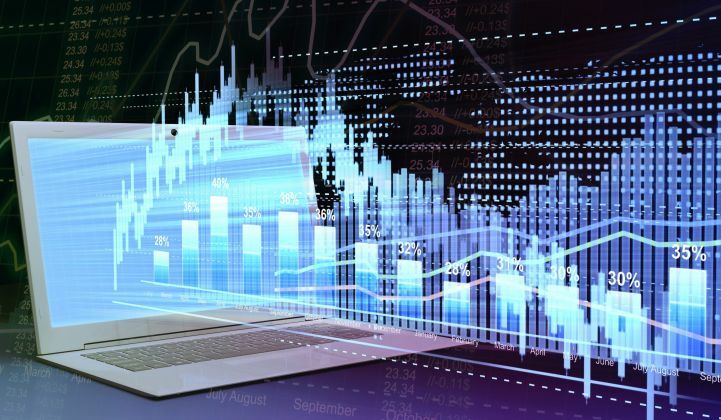 There’s a big difference between these types of vendor-specific or point-solution type asset analytics products, however, and being able to take the long-term, holistic view of a utility’s entire asset portfolio, according to Bryan Friehauf, executive product line leader for GE’s asset management business. To be sure, it’s a more expensive and inclusive undertaking, involving multiple utility business units like workforce management, grid operations, procurement and logistics, and finance and regulatory arms all working together, he said. But it also can yield results that are worth more than any number of point solutions added together, Friehauf said in an interview last week. First of all, a system-wide asset analytics platform should allow “not just knowing that something is about to happen, but knowing that more quickly,” he said. Because a distribution network has so many different parts linked together, knowing the location and operational configuration context of the system is just as important as knowing details of specific assets, he noted. Secondly, it should provide “the crystal ball to look out six to twelve months and say with some degree of specificity [whether] this thing is going to fail. Now I can say, wait, I have something causing a degradation, or forecasting degraded performance, of an asset in my network -- I need to take some switching action, some other operational decision, to prevent that failure,” he said. GTM Research smart grid analyst Ben Kellison says that this final step toward analytics-based asset planning is where enterprise-wide investments can really pay off. “These asset health analytics can layer on the insights to fundamentally change the way utilities interact with regulators,” he said. Having all this asset data at hand could help justify all manner of grid-edge investments -- more real-time distribution automation and demand response, strategic deployment of energy storage or grid resiliency projects, and the like -- to manage future challenges like the increased threat of storms and natural disasters to grid resiliency, or the disruptive influence of solar PV and other customer-owned distributed energy resources on the grid. That’s bound to drive much more investment in utility asset analytics, Kellison said -- and GE is far from the only grid player eyeing the opportunities on this front. Swiss grid giant ABB’s Ventyx software arm, for example, has made a major push into asset analytics via its Asset Health Center project with big U.S. utility AEP. French grid giant Alstom is also working on distribution grid asset analytics through its UISOL software subsidiary (PDF), and its E-terra Asset Care 3.0 platform (PDF) is bridging from the generation and transmission side of utility operations into the distribution grid. But the skills and experience that go into managing distribution grids aren’t necessarily the same qualities that make for predictive and strategic asset management. Companies like Meridium, which have “proven models, proven technologies, and proven methodologies” for asset analytics in industrial and power generation settings, have a lot to offer on this front, Renick noted. Meanwhile, players in the transformer monitoring space have been acquiring business units from other companies that point toward a more holistic approach to managing that critical grid asset, Kellison notes. Those include Qualitrol’s purchase of BPL Global and its Serveron line of dissolved gas analysis (DGA) products, as well as Weidmann’s purchase of GridSense’s bushing monitoring technology. The challenge with deep analytics for distribution grid assets, until recently, has been that they lacked the instrumentation and data collection to put to use in analyzing them. Because of that, the typical utility approach to them was to run them until they failed and then replace them. But as the grid edge becomes more instrumented, and the costs of “run-to-failure” become too high, that’s likely to change, noted Sean Gregerson, director of sales for InStep Software. Much like Meridium, InStep provides its PRiSM analytics platform to help utilities including AEP, EDF, Exelon and Southern Co. manage power plants and transmission grid equipment, and last year formed a partnership with LiveData to collect data from smart meters, demand response systems and other smart grid devices. This kind of argument is increasingly finding its way into the utility regulatory landscape, whether via state utility commissions demanding cost-benefit analyses of smart grid deployments, or lawmakers demanding new distribution grid planning methods that take new technologies into account. Today’s utility enterprise asset management (EAM) platforms tend to lack the ability to incorporate all the data flowing from these new smart devices, putting the pressure on EAM vendors to beef them up with data management and analytics capabilities. All told, the potential cost reductions and revenue improvements to come from better asset management could make it a significant portion of overall utility spending on data analytics, which GTM Research has predicted will be a cumulative $20 billion market between 2013 and 2020. The big question remains, however, whether these sophisticated software tools can deliver the valuable insights they promise -- and whether utilities can adapt their business and operations methods to make the most effective use of them.